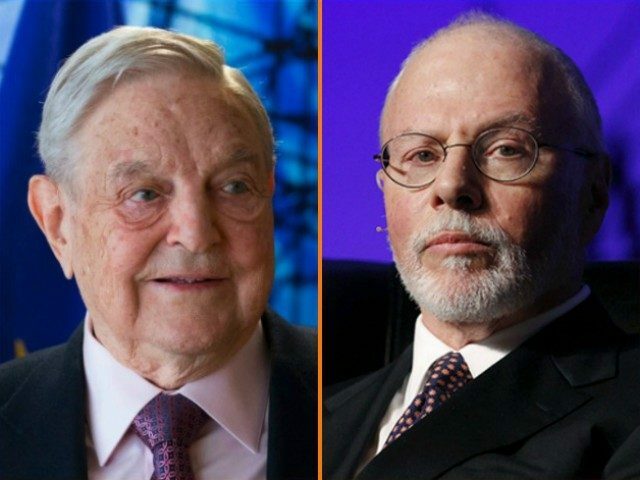 Billionaire hedge fund managers Paul Singer and George Soros define the ideological boundaries of the globalist opposition to the Trump agenda. Neither hesitates to use his substantial financial resources to stymie the populist conservative economic nationalist policies of the “Make America Great Again” coalition. The payments by Singer-owned Washington Free Beacon to GPS Fusion for “opposition research” on candidate Donald Trump in early 2016 and the recent announcement by Soros that he was transferring billions of dollars in his own personal wealth to his Open Society Foundations are cases in point. “The Washington Free Beacon on Friday confirmed it had originally funded research compiled by the firm Fusion GPS. But leaders from the Free Beacon, which is funded in large part by the Republican donor Paul Singer, insisted that none of the early research it received appears in the dossier released later in the year detailing explosive allegations, many uncorroborated, about Trump compiled by a former British spy,” the Associated Press reported on Friday. The amount Singer has invested in the Free Beacon has not been publicly disclosed, but the Daily Caller, another conservative news site, was launched in 2010 with a $3 million investment from billionaire Foster Friess. Similar opposition research projects such as the one the Free Beacon purchased from GPS Fusion on Donald Trump easily cost six figures, though, Matt Continetti, the site’s managing editor, has not specified the cost involved, though he has admitted engaging GPS Fusion, an operation most closely identified with Democrats. Subsequent to the completion of the “opposition research” project on Trump for the Free Beacon, the Democratic National Committee and the Hillary Clinton campaign, through an intermediary, apparently hired GPS Fusion to conduct the “opposition research” on Trump that resulted in the widely discredited “Russian dossier” on the Trump that included the salacious and false tales involving Russian prostitutes. Before the rise of the “Make America Great Again Coalition,” Singer and Soros might have been viewed as diametrically opposed political enemies, but in the fall of 2017 they are simply seen as the philosophical bookends of the globalist ideology of those who oppose the Trump agenda–Never Trumpers among the Republicans, and the “Resistance” among Democrats and the far left. According to Open Secrets, for instance, Singer donated over $26 million “campaign contributions to federal candidates, parties, political action committees, 527 organizations, and Carey committees” during the 2016 election cycle, every penny of which went to Republicans or conservatives. Soros, in contrast, donated over $21 million during the same time period, all to Democrats or liberals. Adding the $5.7 million his son Alexander Soros donated, again, all of it to Democrats and liberals, Soros father and son donated almost the same amount to Democrats or liberals that Singer donated to Republicans or conservatives. But despite their support for candidates and causes from the two ostensibly different political parties, Singer and Soros had as many commonalities in terms of the policies they supported as they did differences. This is not surprising given the fact that they are both immensely wealthy hedge fund managers who largely created their wealth on their own. George Soros is a legendary hedge fund manager who managed client money in New York from 1969 to 2011. Soros remains an investing heavyweight through Soros Fund Management, his family office that boasts $26 billion in assets. Born in Hungary, Soros fled the country and put himself through the London School of Economics working as a railway porter and waiter. A philanthropist and supporter of liberal causes, Soros founded the Open Society Foundations. It has had expenditures of nearly $14 billion. Paul Singer founded his hedge fund firm, Elliott Management, in 1977 with just $1.3 million. The firm now has some $33 billion in assets under management. Elliott Management often takes activist positions, shaking up companies and even governments around the world. In 2016 the hedge fund firm settled a 15-year battle with the government of Argentina over bond payments, earning a $2.4 billion profit. While the two men differ on their approach to economic policy–Singer favors a more free market approach, especially as it relates to financial markets, while Soros favors “paternalistic” government intervention–they share a globalist world view that rejects the national economic sovereignty views that spearheaded Trump’s political success in the 2016 Presidential election. The two are in lock step when it comes to immigration policy–they both want open borders–and government control of education–they both support Common Core. Indeed, as Breitbart has reported extensively, both men have contributed significant funds to the National Immigration Forum, a far left open borders group that led the charge behind the failed “Gang of Eight” illegal amnesty bill in the Senate in 2013. Following the Senate introduction of bipartisan immigration reform legislation, the National Immigration Forum Action Fund received a strong show of support from hedge fund billionaire Paul Singer to continue the bipartisan effort for common sense immigration solutions. Mr. Singer is the founder and CEO of Elliott Management, and is providing a six-figure contribution to the National Immigration Forum Action Fund’s “Bibles, Badges and Business” project to encourage Republicans and Democrats to support immigration reform that strengthens our nation’s competitiveness and helps us attract the world’s best talent and hard workers. The passionate level of involvement and cooperation from both Republicans and Democrats on immigration reform sends a resounding message that this immigration battle is different than that of decades past. Rather than fall back into the stagnation and polarization that plagues so many of today’s political disagreements, immigration reform has produced robust coalitions and unlikely collaborations. This donation by Paul Singer is one of many signs from business leaders that American businesses are not sitting on the sidelines for this immigration reform battle. Along with George Soros and the left-wing Ford Foundation, Singer gave hundreds of thousands of dollars to the pro-open borders National Immigration Forum (NIF). The NIF later set up and funded the sham grassroots Christian group “Evangelical Immigration Table” to create the illusion of widespread conservative Christian support for mass third-world immigration. As Breitbart News uncovered, the Evangelical Immigration Table (EIT) never was an independent legal entity and existed only as a front for the NIF. Singer directly funded the effort, as Breitbart News and USA Today reported at the time. This did not stop establishment Republicans, including the editors of the once-definitive conservative publication National Review, from latching onto the EIT as a genuine font of anti-Trump grassroots activism. The Wall Street hedge-fund billionaire Singer was an early – and significant – backer of “Gang of Eight” amnesty ringleader Sen. Marco Rubio (R-FL) in the 2016 campaign. This support made good on the two men’s years-long relationship based, in large part, on their mutual belief in the most recent major campaign for amnesty for illegal aliens and massive immigration increases in 2013. Both men also back Common Core. “The Foundation seeks to leverage its own philanthropic investments by partnering with proven non-profits and like-minded donors,” states the Singer Foundation website. . . In each year from 2009 through 2014, Singer’s foundation donated between $50,001-$100,000 to Bush’s Foundation for Excellence in Education (FEE). One group that is an affiliate of FEE is Chiefs for Change – a “bipartisan coalition of current and former state education chiefs who believe that American public education can be dramatically improved.” Some “Chiefs for Change” are also members of the Partnership for the Assessment of Readiness for College and Careers (PARCC), one of the two federally funded interstate consortia that have been developing tests aligned with the Common Core standards. Additionally, Bush joined with former president of the pro-Common Core Fordham Institute Chester Finn and the U.S. Chamber of Commerce in Conservatives for Higher Standards, a group that promotes the Common Core standards initiative. FEE’s donor list also includes the Bill and Melinda Gates Foundation, the GE Foundation, the Helmsley Charitable Trust, News Corp, the Walton Family Foundation, Bloomberg Philanthropies, Carnegie Corporation, the Schwab Foundation, Microsoft, Exxon Mobil, Houghton Mifflin Harcourt, Intel, K12, Pearson, Scholastic, and Target. Soros’s Open Society Foundations remain a financial supporter of Generation Citizen. That support “will allow us to improve our curriculum in a number of ways, including further alignment with the US Department of Education Common Core Standards,” the group’s website states. 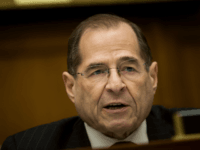 Some press reports have suggested that Singer’s $1 million donation to the inauguration committee for President Trump indicated a thawing of the relationship between the two long-time adversaries. However, when the news broke last week that it was Singer’s Washington Free Beacon that funded GPS Fusion to conduct opposition research on then-candidate Trump, that one time olive branch appeared to take on entirely different interpretation.